Description: Himachal Pradesh is not only one of the most best and beautiful states of India which is showered with many hill stations for adventurous sports like mountaineering, trekking but also with wonderful scenic natural beauty. The snow heaped mountains, natural beauty, hills, meadows, rivers, lakes, temple etc add charm to this great place. 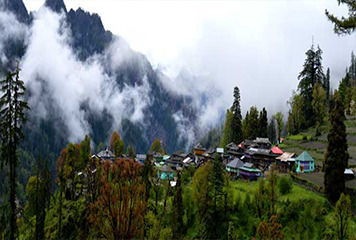 The plentiful natural beauty, nice and soothing climate and friendly nature of people of this state make it as one of the most favourite tourist destination. 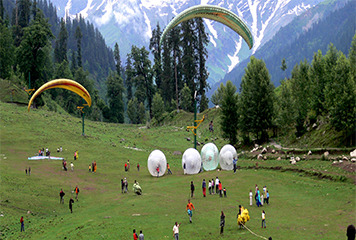 Shimla, Manali, Dharamshala, Dalhousie, Mcleodganj etc are some of the major tourist attractions to be explored in Himachal Pradesh. Meals Plan : Dinner Only Night Stay :Kasauli Welcome to Chandigarh Railway Station / Airport meet our driver & proceed towards Kasauli. On arrival at Kasauli . check into the hotel. Evening free to explore the local market on your own. Dinner & Overnight stay in the hotel. Meals Plan : Breakfast & Dinner Night Stay :Kasauli Today morning after breakfast, proceed to cover Kasauli sight seeing including - Monkey point,Kasauli Club ,Christ church,Sunset point .Sai Baba Mandir , Lower Mall& Uper Mall. Dinner & Overnight stay at the hotel. Meals Plan : Breakfast & Dinner Night Stay :Shimla Morning after breakfast check out from the hotel and proceed towards Shimla.In Evening time visit to ( by Walk) The Mall Road, Ridge, Kali Bari Temple, and Scandal Point,Christ Church.Dinner & overnight stay at the hotel. Meals Plan : Breakfast Only Night Stay :No Morning after breakfast check out from the hotel and proceed towards Chandigarh.Drop at Chandigarh Airport/Railway Station/Bus Stand.Tour End. MAP Meal Plan - 4 Breakfast & 4 Dinner. Individual Cab from Chandigarh to Chandigarh as per itinerary.